Two and a half years after the Fukushima nuclear plant disaster in Japan, concerns are again being raised about radiation levels in fish caught in the Pacific Ocean. A report by the Vancouver weekly newspaper, The Georgia Straight, suggests at least 800 people worldwide could develop cancer from eating fish caught in Japan's waters – and about half of those cases will be fatal. About 500 of the cancers will occur in Japan, while 75 will be due to Japanese fish exports to other countries, including Canada, the newspaper estimates. It also quotes several nuclear experts who say that estimate is likely conservative and the real toll could be closer to 80,000 cancers. Gordon Edwards, president of the Canadian Coalition for Nuclear Responsibility, notes that the estimate is based only on the fish that has been eaten up to now. "People are going to continue to consume these fish and the toll could rise higher," he told CTV's Canada AM Monday from Montreal. Radiation in fish in the waters off Japan has been a major issue of concern for many since March 2011, when an earthquake destroyed the Fukushima Daiichi nuclear plant, sending tons of highly radioactive water into the ocean. The radioactive elements in the water could take decades to degrade, affecting several generations of fish. 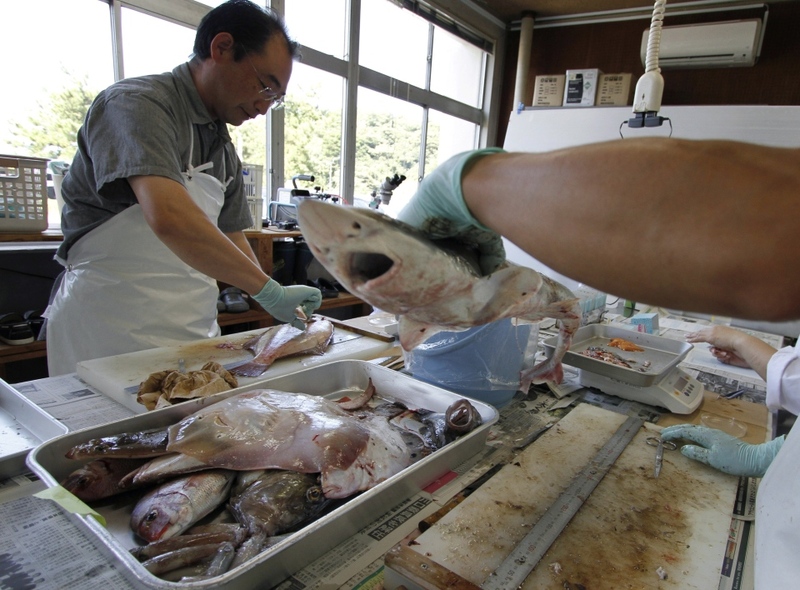 The Japanese Fisheries Agency has been testing the radiation in fish caught in its waters since March 2011. On average, fish in the 33,000 tests had 18 becquerels per kilo of radioactive cesium – well below Health Canada’s ceiling of 1,000 becquerels per kilo for cesium and even Japan's ceiling of 100 becquerels. But even those radiation levels can still cause cancer, according to the U.S. Environmental Protection Agency’s cancer-risk formula. And Edwards says Health Canada's own cesium limits are more of a guideline than a clear safety limit. "It has to be recognized that even Health Canada acknowledges that even those levels correspond to an increased cancer risk of eight cancers per 1,000 people exposed over a 70-year period. So these are not safe levels, even by Health Canada's own standards," he said. While Canadians are exposed to radiation every day from the sun and the environment, Edwards notes that radioactive cesium doesn't exist in nature at all and it's not known if there is any safe level. "The background level is zero. So this is all comes from the Fukushima disaster," he said of the fish. The Canadian Food Inspection Agency tested fish exports from Japan for several months, but dropped the testing in June 2011, just three months after the disaster. Edwards says he does not understand why the CFIA is not taking the issue more seriously. "Canadian authorities are really doing us all a disservice by not following and monitoring this much more closely. They're treating it as though it's a kind of ho-hum situation, but in fact, it was a major event worldwide," he said. "And it should be studied very more carefully because that's the only way we're going to learn what the effects of this may be for the future."